Cleaning a car may involve a quick wheel and body clean or cleaning both the exterior and interior of the car. It is advisable to clean the exterior when the vehicle is in a cool place away from direct sunlight. Use cleaners that are formulated for cleaning different parts of the car. For the interior, you need to remove any trash as well as the mats before you vacuum and use a suitable cleanser for the upholstery. Clean the external and internal windows with a window cleaner. Your car should ideally be cool before you start washing it. Park it in the shade for a few minutes if it has been exposed to the sun to prevent water and soap stains that result from quick drying on the heated surface of the body of the car. Prepare a number of supplies including buckets, cleanser, sponges, cloths, tire cleaners, towels and max. These are the things that you will use for cleaning the exterior of the car. You will also need cleaning materials for the interior that may consist of a vacuum, window cleaner, trash bag, upholstery cleanser, towels and cloths. Fill the buckets with the water that you will use for washing and rinsing. Fill a bucket with car cleanser according to the instructions that are provided. Avoid using products such as dish washing liquid while cleaning your car. Such cleaners may damage the wax on your car. Read the things to consider for car vacuums here. Rinse the car’s surface thoroughly to remove dirt and use your hands to get rid of debris such as twigs and leaves. Ensure that all debris is washed off to avoid scratches on the car. 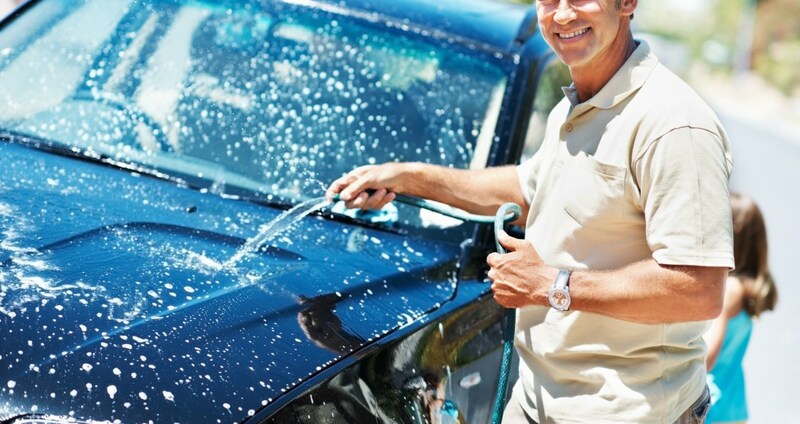 Clean each section of your car with soap and rinse completely to prevent dry streaks of soap on the car. Use a sponge and soap to scrub the car in an upward and downward motion. Rinse the sponge in a bucket of water frequently. Make sure that there is no debris on the sponge that can scratch the car. Air drying your car may cause streaking. Dry your car with a soft towel and blot the water. Mix a safe cleaner for your wheels in a bucket of water and avoid any products that contain acid and can damage the wheel surface. You need a bucket for cleaning and another one for rinsing the sponge. After soaking a sponge in cleaning solution for some minutes, clean each wheel from top to bottom. You can use a small brush to clean in-between the crevices. When you finish cleaning the wheel, rinse with water to ensure that all the dirt is removed and dry with a cloth. Repeat this cleaning process for the rest of the wheels. The car’s body should be completely clean before waxing to avoid scratching. Squeeze the required amount of wax on the body in a gentle upward and downward motion. Thinner layers of wax or are usually preferable to thick layers. Buff with an appropriate towel and follow all the instructions that are provided with the waxing product that you use. Polish creates the shiny appearance while wax gives protection.